Strong, stable, and sturdy. These words come to mind when we think of the venerable buffalo. Our solid wood headboards stay true to that name, offering great durability and lasting quality. With rustic oak and dark cherry finish options and five sizes offered, all three styles are sure to fit any traditional home. 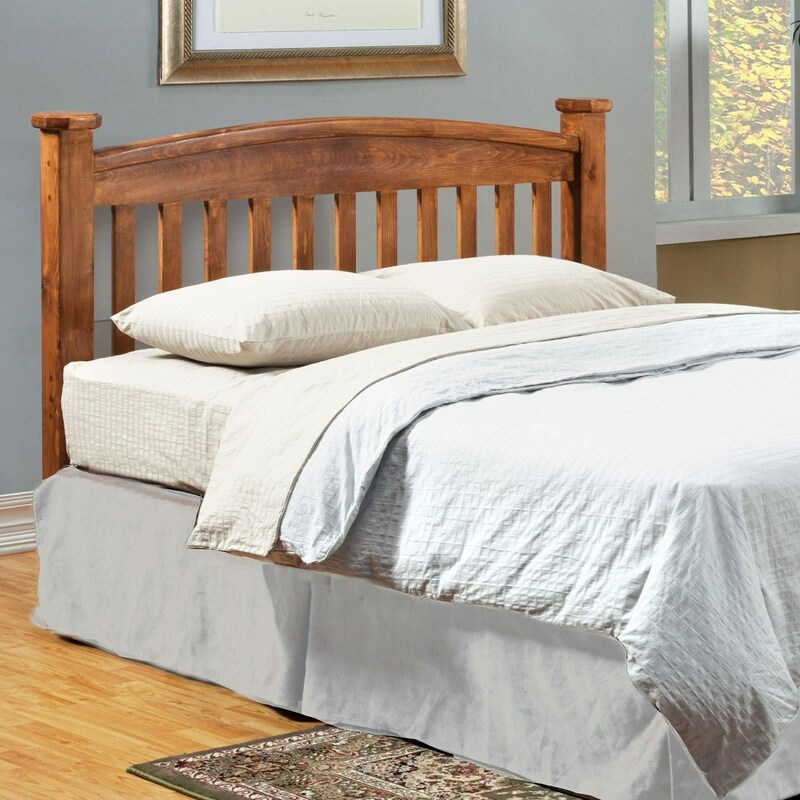 The Buffalo Twin Size Arched Rake Headboard in Oak Finish by Furniture of America at Rooms for Less in the Columbus, Reynoldsburg, Upper Arlington, Westerville Ohio area. Product availability may vary. Contact us for the most current availability on this product. Browse other items in the Buffalo collection from Rooms for Less in the Columbus, Reynoldsburg, Upper Arlington, Westerville Ohio area.